Weekend Open Forum: Has DRM spoiled your fun? It seems like every week the Internet is up in arms over some DRM-related injustice. The consensus tends to be that most DRM schemes cause grief for paying customers while completely failing to thwart piracy. I can't speak for any other TechSpot staffers, but that's an argument I can agree with. There's no shortage of complaints about DRM while most digital entertainment such as games and movies are readily available on various torrent sites. Although the anti-DRM crowd is more vocal, I often see users who say they're okay with companies using DRM because it doesn't affect their experience. I imagine that's true in most cases. As annoying as Ubisoft's always-on DRM may seem, it probably doesn't affect a majority of the company's players. That raises an interesting question: Are you against DRM because of some moral predisposition, or has it actually affected you in a negative way? To be extra clear here, we're not asking about your stance on digital control schemes that accompany today's media. We want to know whether such mechanisms have negatively affected your consumption of said content. If you're going to participate in the poll, answer honestly -- don't click "yes" solely because you disagree with the presence of DRM. Naturally, you have free reign of the comments to elaborate on your views and experiences. 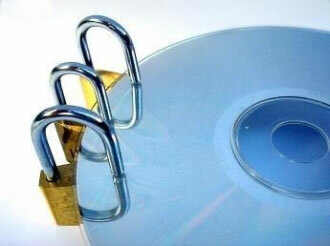 Have you been negatively affected by DRM? Splinter Cell: Conviction generally launches flawlessly, but earlier this summer refused to perform a proper online validation, effectively locking me out of the game (it would load to the main menu and then fail to connect, forcing me to close the game). I thought Ubisoft's servers were down so I retried a few times over the course of several days. I eventually reinstalled Ubisoft's Uplay software to correct the issue, which remains unknown to me. Before transferring an audiobook to my iPhone I had to authorize my Audible account through iTunes. Although it should've been as simple as entering my username and password, the login process failed repeatedly. I later discovered that my Audible password was too secure. Although my credentials worked on the company's site, logging in through iTunes wouldn't allow special characters such as an asterisk. I had to change my password.